Foreclosures are not always initiated by a mortgage lender seeking to collect on the balance owed on the mortgage loan. In some cases, foreclosures can be filed by a third party who has an interest in a property. One situation in which this happens is with Homeowner’s Associations, or HOAs. It is possible for a homeowner to owe so much money to an HOA that the HOA files a foreclosure action in court against the homeowner. The thought that the HOA can take a person’s home away based on a failure to pay HOA fees and fines sounds farfetched, but depending on the terms of the HOA agreement a homeowner signs when he becomes a part of an HOA community, it is possible. Not all homes are covered by HOAs. However, homeowners who buy homes in certain communities end up subject to the rules and regulations of their HOAs, and must pay monthly or annual fees to the HOA. This is in turn provides certain communal benefits to the homeowner. Failing to pay the HOA fees sometimes results in fines and other costs, and ultimately the HOA may secure a lien against the non-paying homeowner’s property for the sum of the unpaid fees. In Pennsylvania, the HOA gets a lien once the homeowner fails to make the required payments. There is no additional requirement that the HOA provide additional notice of the lien to the homeowner before the lien attaches. Once a lien is placed on the property, the HOA can initiate a foreclosure against the property if the homeowner does not pay to have the lien lifted. The HOA has four years from the time the homeowner becomes delinquent on the fees in which to file the foreclosure lawsuit. After this time has passed, the lien against the homeowner’s property is no longer valid. The HOA lien is generally protected even when the homeowner files for bankruptcy. Meaning that even in bankruptcy, the HOA lien is paid before most other creditors. The HOA lien can also survive a sale of the home, and makes it more difficult to sell the home to a prospective buyer who may not want to buy a house with a lien on it. 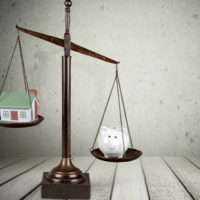 In some situations, the HOA may hold a stronger lean than the original mortgage lender, and may be able to file foreclosure without including the original mortgage lender as a party to the lawsuit. There are ways to challenge the legal basis for a foreclosure filed by an HOA. The homeowner can show that the charges and fees that the HOA charged were not authorized, that the HOA misapplied past payments from the homeowner, or even that some fines and fees were overcharged. If you are facing foreclosure based on a failure to pay HOA fees, you may have a valid defense to the foreclosure action. Contact Louis S. Schwartz and his team at ConsumerLaw Pa.com to speak to a Philadelphia foreclosure defense attorney and fight the HOA foreclosure.